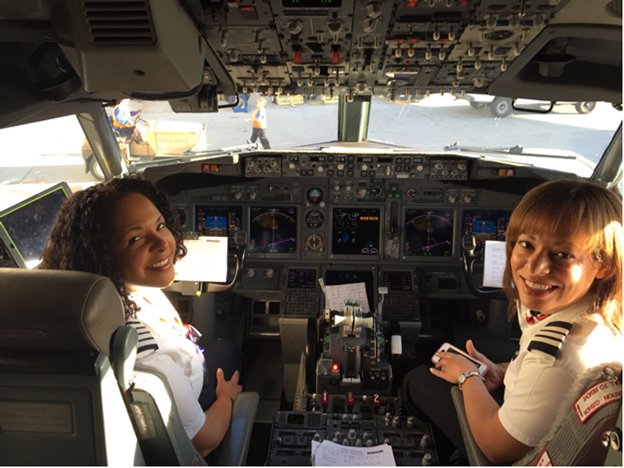 As Women’s History Month came to a close last week, we are happy to end on a note that highlights the feats of two Southwest Pilots. 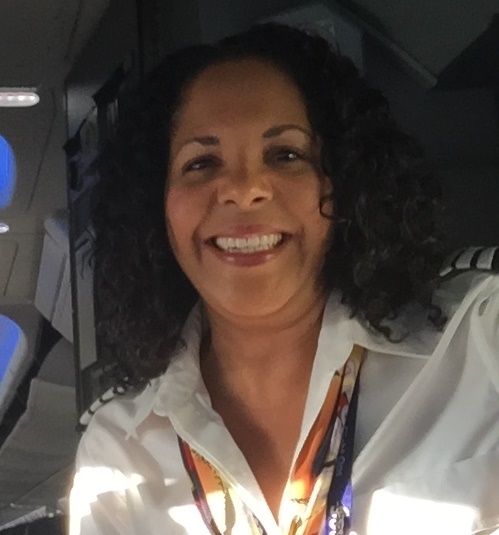 Captain Nicole Alicea shares her personal story about making history three times at Southwest Airlines and features First Officer Nicole Sturrett. I grew up in an aviation family. My parents met at a breakfast fly-in as private pilots, so flying was always a part of my life from a young age. My dad was my primary inspiration over the years. The airline economic cycles had beaten up his career, but his true love of aviation never waned. When dad was hired at Southwest in 1994, he constantly talked about how much he enjoyed the Company and his Coworkers, and he genuinely loved coming to work! I started flying when I was 17 years old and became a Certified Flight Instructor at the age of 21 before I finished undergrad at Arizona State University the following year. I soon became a member of Women in Aviation and the Organization of Black Aerospace Professionals (formerly the Organization of Black Airline Pilots) after I moved to Denver for simulation work. I've had incredible mentors along the way—a few helped me bridge the gap between being an instructor and working for a commercial airline, some became long-term friends, and others just helped me stay focused when times were tough. These continue to be outstanding organizations for networking and professional growth, and I highly recommend them to those who desire a career in aviation. I wouldn't be the professional I am today if it weren't for all of those advocates. When it came time to apply to major airlines, I spent time researching which of them would be the best fit for my personality and career goals. I read several aviation history books, networked with pilots from various airlines, and talked with recruiters at career expos. Ultimately, Southwest was a perfect match because of the Culture and the way it treats its Employees. My Southwest career took flight on January 31, 2002, at the age of 25. To be honest, in the work environment I see myself first and foremost as a Southwest Airlines Pilot—I just happen to be an African American woman. However, I still take pure joy in being the first African American female Pilot at our Company. It has been an honor for me to make history on several occasions in my career. I was the first African American female Captain at my last airline before Southwest as well. Additionally, my father, a retired Southwest Captain, and I made history at Southwest as the first African American father-daughter flight crew at a major airline. And now, First Officer Nicole Sturrett and I had the opportunity to make history together on March 20, 2016, when we became the first African American female Pilot Crew at Southwest on the Phoenix to Oakland Flight #3280. Nicole Sturrett and I recognized this flight as a pivotal moment in our careers. Many people often confuse us with each other considering we are both named Nicole, we are both Pilots, and we are both married to Southwest Employees—I am married to a Shop Mechanic and Nicole Sturrett is married to a Ramp Agent. It was only natural for us to eventually get the opportunity to fly together. I asked Nicole to share her story of the experience as it could not have been possible without her: “It was really neat to be a part of this experience. I had a layover in Wichita when I found out that I would be flying with Captain Nicole Alicea and I was so excited, but also nervous. She is a really awesome Captain so I didn’t want to let her down. After sitting down with her, I knew this would be a moment I would never forget. I actually started my flying career out of stubbornness. I decided I wanted to fly the first time I was on a plane and my mom was against it because she’s an extremely nervous flier, or what I like to call a ‘white knuckle flier.’ I did as any teenager would do and took my first flying lesson when I was 17 and just starting my first year at Delaware State University. It’s safe to say I’ve never looked back. 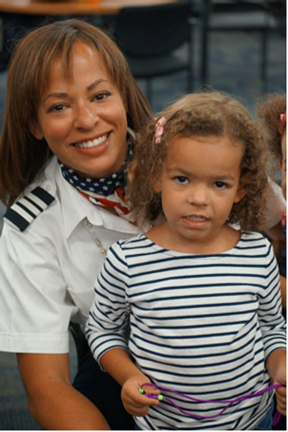 First Officer Nicole Sturrett and her daughter. Like Nicole, I too believe that more young girls should explore the aviation industry. Years ago, another Pilot asked me why I personally believed there isn't a higher percentage of black and female pilots. After consideration, I realized that most Pilots decide this is their dream at a relatively young age. However, a child must first see it as a possibility before it can be a goal. In order to increase aviation interest in young ones, I decided to get involved in the Adopt-A-Pilot program; as a Team, my dad and I visited multiple classrooms during an eight year span. When young girls see me at the airport or in the flight deck, it's my sincere desire that they envision themselves doing the same someday. Young women should think outside traditional gender roles, follow their dreams, and know that they can accomplish whatever they set out to do in life. Loving your work and enjoying a profession is not limited by race, gender, or social status. Southwest Airlines is proud to sponsor many organizations that aim to increase diversity in aviation and STEM (science, technology, engineering, and mathematics). The Adopt-A-Pilot Program and our support of the Organization of Black Aerospace Professionals are just a few examples of steps Southwest Airlines is taking to make the dream of becoming a Pilot a reality. Learn more about the events Southwest Airlines supported this Women’s History Month and throughout 2016.